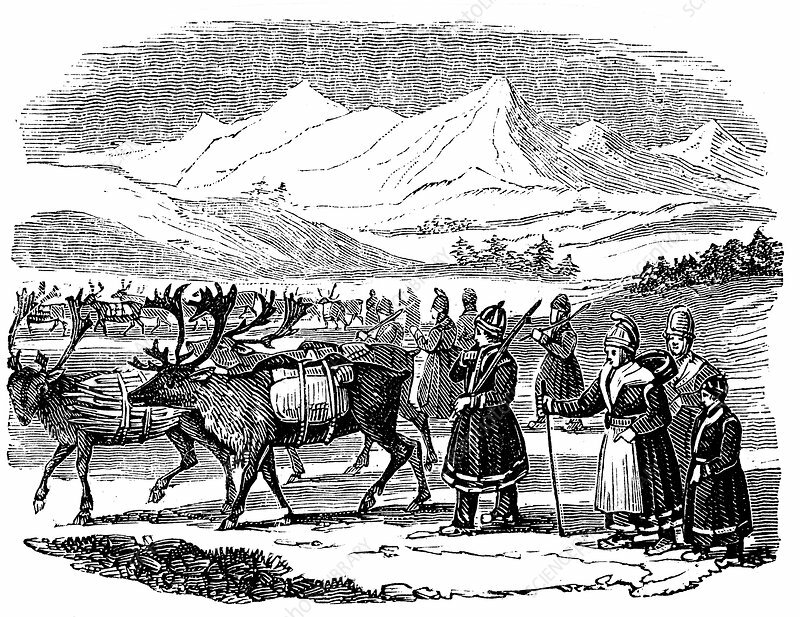 Lapps setting out on a migration with reindeer and carrying packs, Lapland, 1840. Nomasic herdsmen of Arcitic regions whose reindeer provided food, clothing, tools and transport. Wood engraving.